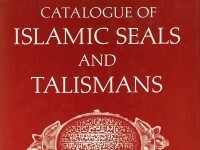 A catalogue of seals and talismans housed at the Ashmolean from the 8th to 19th century Islamic world, by Ludvik Kalus (published Oxford, 1986). 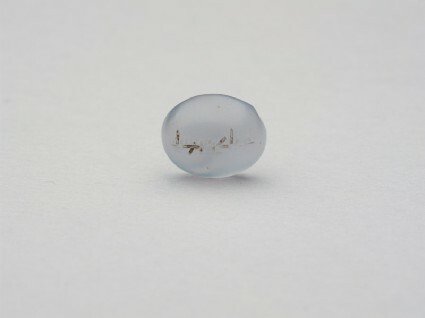 Pale blue chalcedony; cabochon, plain-convex; oval; angle slightly cut. One line of kufic script, without dots. Lent by Queen's College, University of Oxford. A term denoting various styles of angular Arabic script. Emerged in the early centuries of Islam, kufic soon became the preferred hand to copy holy texts.